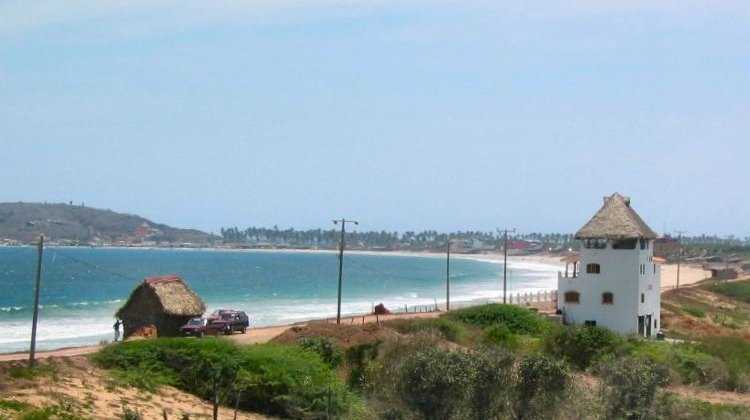 Located at the private end of the beach at Tenacatita on 800 square meters of ocean front property is Casa Blanca (white house on the right). The home has three levels and a rooftop palapa. There are four bedrooms three baths and a completely seperate lower level which has its own kitchen, bedroom and parking area and comes completely furnished. List price for property #190 - $339,200 usd. The contents of this site are copyright © 2006. All Rights Reserved.